The W9 has become a favourite for 2013 among AV experts and it's easy to see why. It's a fantastic TV that both looks fantastic and produces picture quality to match. For the second year in a row, Sony has blazed its way to 5-star reviews with its flagship TV range. Last year's HX853 sets from Sony was a revelation after years of disappointment, and this year the Japanese superbrand has continued its resurgence with the even-better W9 range. 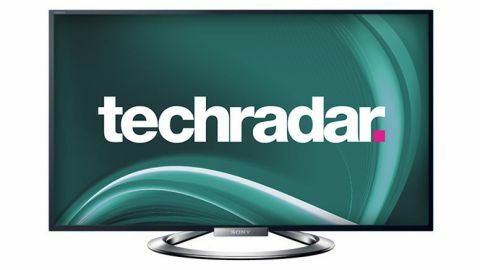 Already reviewed on TechRadar in some depth are the 55-inch Sony KDL-55W905A and the 40-inch Sony KDL-40W905A. The W9 may not quite sit at the top of Sony's TV range anymore, what with the launch of Sony's X9005A 4K TVs, but it still sits right at the the pinnacle of where 1080p sets are at right now. Leading the list of new features is what Sony calls Triluminous – a new technology for creating vivid colours that visually snap, crackle and pop as you watch. The W9 range uses edge-mouted LEDs for illumination instead of rear-mounted Direct LEDs, ensuring a slimmest-ever waistline and brilliant power efficiency too. It's the Triluminous feature on the W9 series that really makes it stand out from last year's design. We looked at the W9 with last year's best in class HX853 and the difference was plain to see – bright colours fizz off the panel on the W9. Reds in particular have a look of purity in them unlike anything we've seen from an LCD TV before. It works by placing red and green colour filters directly onto the LED lights arrayed around the image's edges. This means the blue light from the LEDs both creates the colour blue in the image and energises red and green quantum dots to complete the RGB effect. Sony powers its TVs using an upgraded version of its X-Reality Pro chip from last year, offering industry-leading picture processing using some astonishingly clever calculations. At the heart of this system lays a database of different video, texture and colour types which the TV uses to deliver video processing that's more accurate and less troubled by artefacts. So the source is analysed, compared to the TV's pre-stored database of video 'conditions' and then applies picture setting rules already worked out as being the most appropriate for it. The W9 benefits hugely from Sony's laudable policy to focus intensely on picture quality. The new Triluminous features in particular make watching video from all sources a pure joy. Clear to see was a colour palette larger, more varied and crucially, accurate, than many if not all the other flagship models from 2013. Generally, picture quality is superb then. Even with poor source material, the TV uses its magic processing to polish things up to a very watchable level. Marginally less impressive but still very good were the TV's black levels. They're about on a par with what we saw from Sony last year so they're nothing to be sniffed at, and the capable way with which the TV uses local dimming allows it to produce dark, detailed areas of picture at the same time as bright areas elsewhere. There's almost not light blocking (where you see a halo of light around bright bits on black backgrounds) which is the main thing, and the speed with which the W9 switches its pixels from light to dark and back again is impressive too. The database used in conjunction with the X-Reality Pro chip is hard to test – how much difference does it make? It's a question that's hard to answer, but what we can say with certainty is that the W9 is a true all rounder with all sorts of source material. That goes from the Freeview HD picture produced by its own dual-tuners, to the glorious heights of 1920x1080 Blu-ray discs, YouTube from the TV's own app, standard definition video downloads and everything else we tested with. We particularly appreciated the picture detail we found in dark scenes, at no point did we ever feel like we needed to turn ambient lights off or picture brightness up. The TV is brilliant at choosing the right settings for the right picture and that's an invaluable ability given that the majority of people simply don't want to have to worry about those factors. The W9 series comes with a new interface, with Sony having ditched its longrunning and successful XrossMediaBar. The menu system is exceedingly easy to navigate, with clear labels guiding you and a separate Options button on the remote for accessing common settings like sleep timer, picture settings, 3D on/off etc. Sony does not provide voice-activation or gesture-based control as you might have seen from Samsung, but you do get two remote controls. One standard remote, and a mini remote that you can use to pair an NFC-equipped mobile device with your TV. This way you can easily use your phone as a remote control (over a network) but it's possible to get this functionality up and running very easily even without NFC. Smart TV features are unspectacular but provide all the basic apps you'd expect when touching the SEN button on your remote. The TV is extremely responsive to all inputs, so there's no lag, but does take a bit of getting used to. As you might expect from a TV this thin, sound is unspectacular when compared to a full sound system. But the TV speakers still do an admirable job of producing a full-bodied sound experience for those who don't want to bother with a separate receiver. The TV uses a down-firing speaker system whereby sound is bounced off the surface the TV sits on, so sound will vary according to where you place the TV. This TV is currently rather tricky to get hold of. You can buy from the Sony UK website for £1,799 which is expensive for a 46-inch TV. It's available elsewhere on the web for more like £1,500 at the time of writing, but it has yet to hit mainstream retailers. Value is always a tricky subject when discussing top-end TVs. But we can say that this 46-inch W9 produces pictures so lovely to look at, it's worth considering even if it's a bit out of your price range. Picture quality on this thing is astonishing. Colours are truly mesmerising – the TV does a solid job with poor source material and excels with images from a Blu-ray disc. The SideView smartphone app allows you to control the TV, browse an EPG, set programmes to record on USB media, all very handy. And you'll find some very handy features such as – be in front of a TV and start watching a YouTube video on your phone and, providing its on the same network as the TV, you'll be given the option to just watch it on the TV instead. Even if you haven't paired the two devices together. The price is high but it's also just about fair. If you can get this set for under £1,500 you're on the right track. For a more detailed look at the Sony W9 TV, check out our Sony KDL-55W905A review.